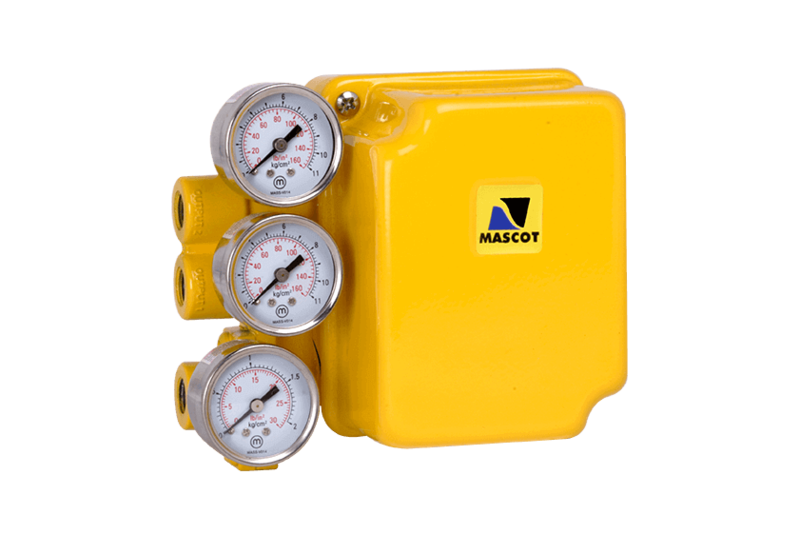 MASCOT HiFlo Positioners are Pneumatic and Electro-Pneumatic Positioners primarily used by MASCOT Control Valves equipped with Linear or Rotary Actuators. A pneumatic module for 0.2-1.0 bar air control signals, or an electro-pneumatic module for 4 to 20mA electrical control signals is offered with MASCOT HiFlo valve positioner. Valve positioners are single or double-acting, force-balanced instruments that provide fast, sensitive and accurate positioning of MASCOT Spring Cylinder Actuators as well as diaphragm actuators. These rugged positioners being compact, field reversible, are designed for high performance. They offer separate Zero and Span adjustment for ease of calibration. The MASCOT HiFlo Valve positioner is a force-balanced instrument. Positioning is based on a balance of two forces; one proportional to the instrument signal and the other proportional to the stem position. 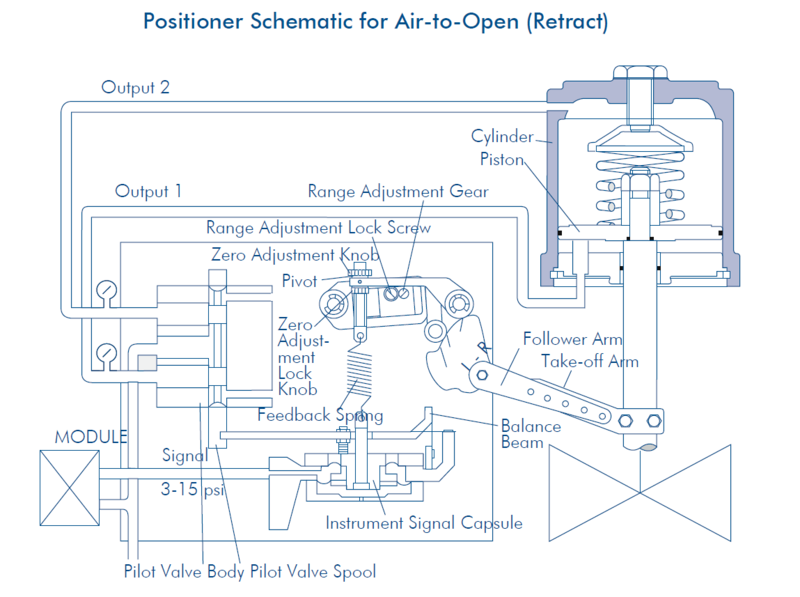 A downward force is activated as the signal pressure acts upon the diaphragms in the instrument signal capsule, through the follower arm and cam, the motion of the actuator stem is transmitted to the top end of the feedback spring resulting in the varying of tension in feedback spring as stem position changes.